Habitat - Bogs, savannahs, wet ditches, pond margins, standing water. 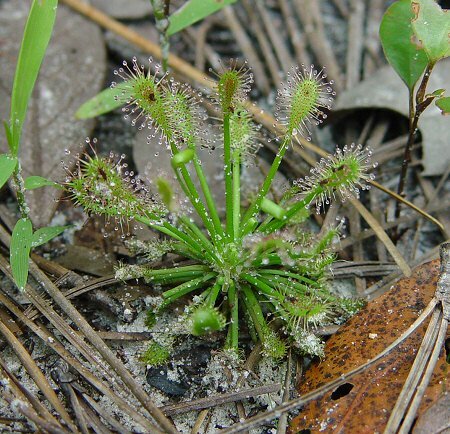 Other information - This carnivorous species can be found in just a handful of southwestern coastal Alabama counties. 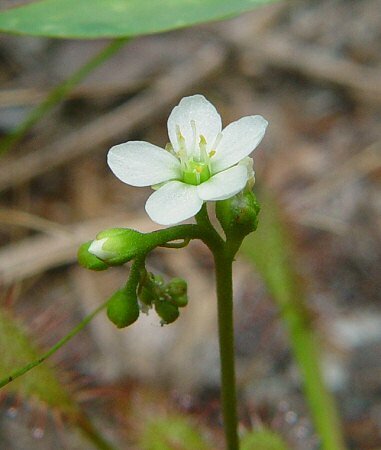 The plant is easy to identify becasue of its long-spatulate leaves and white flowers. The species also forms a short, upright stem with age. This species is often found growing in shallow water (more so than other species in the state). The species epithet intermedia derives from the Latin "inter" meaning "between, amongst" and "medi(a)" meaning "the middle" as the plant was probably thought to be a hybrid between two species when first discovered. 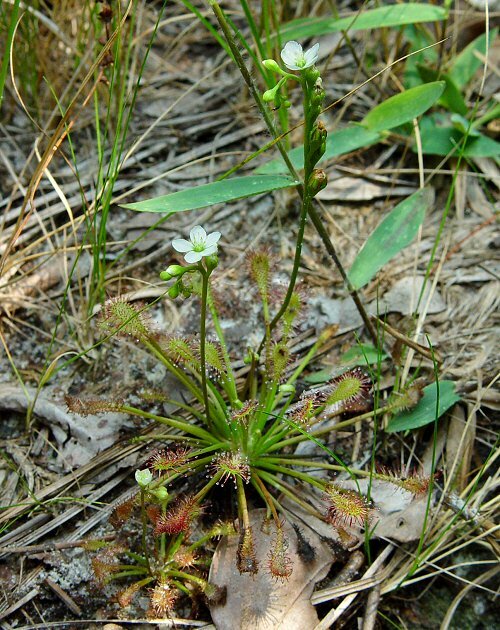 Photographs taken in the Croatan National Forest, NC., 7-18-02.